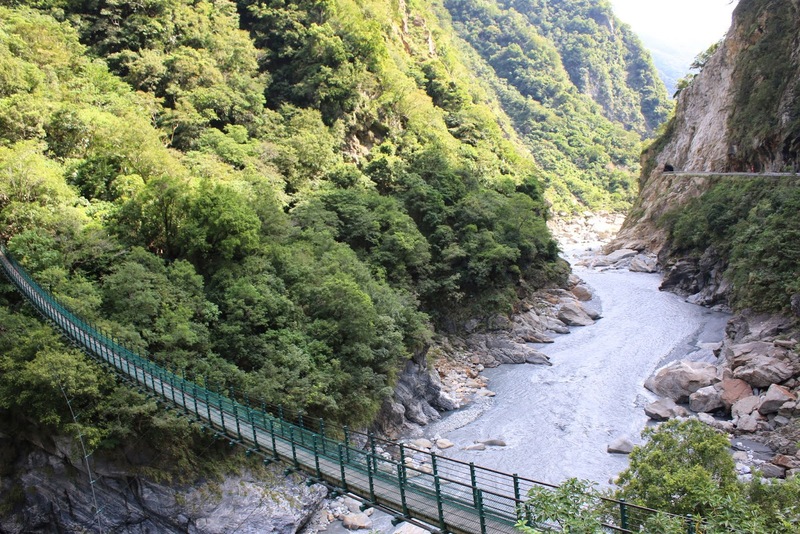 Taroko Gorge National Park is one of the most popular tourist attractions in Taiwan. 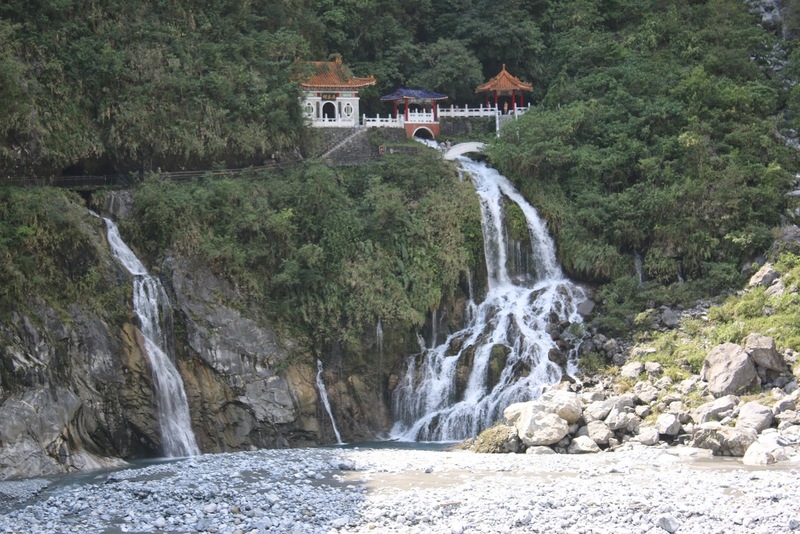 It is situated in Hualien County, on the mountainous eastern coast of Taiwan. 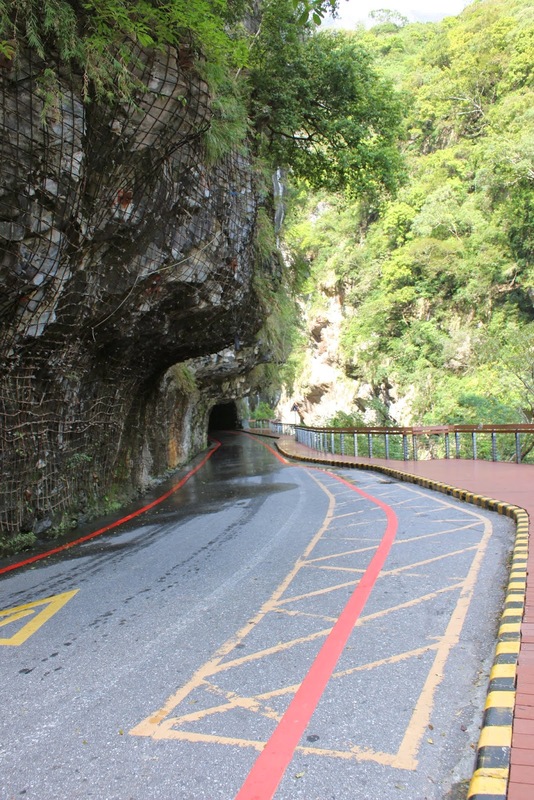 Taroko Gorge was cut through the narrow and winding way through the Central Mountain Range and formed by the gorge of Liwu River. 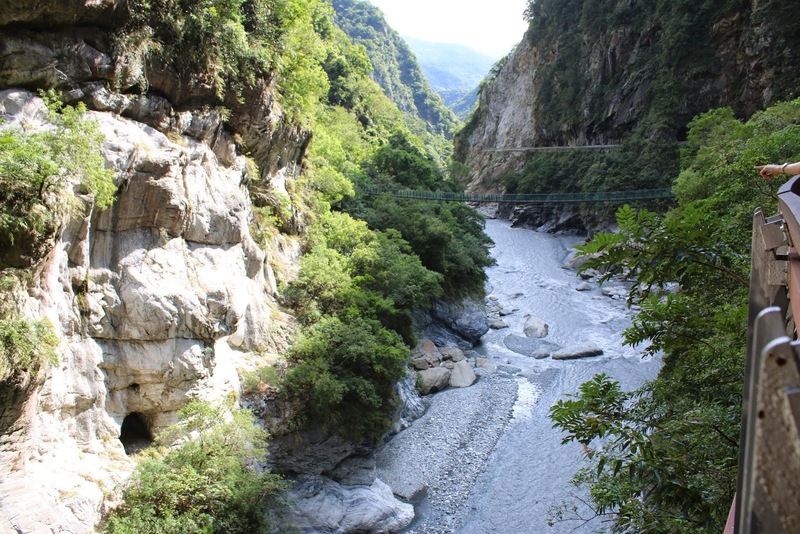 Taroko Gorge is also known as Marble Gorge due to its abundant supply of marble rocks over there. 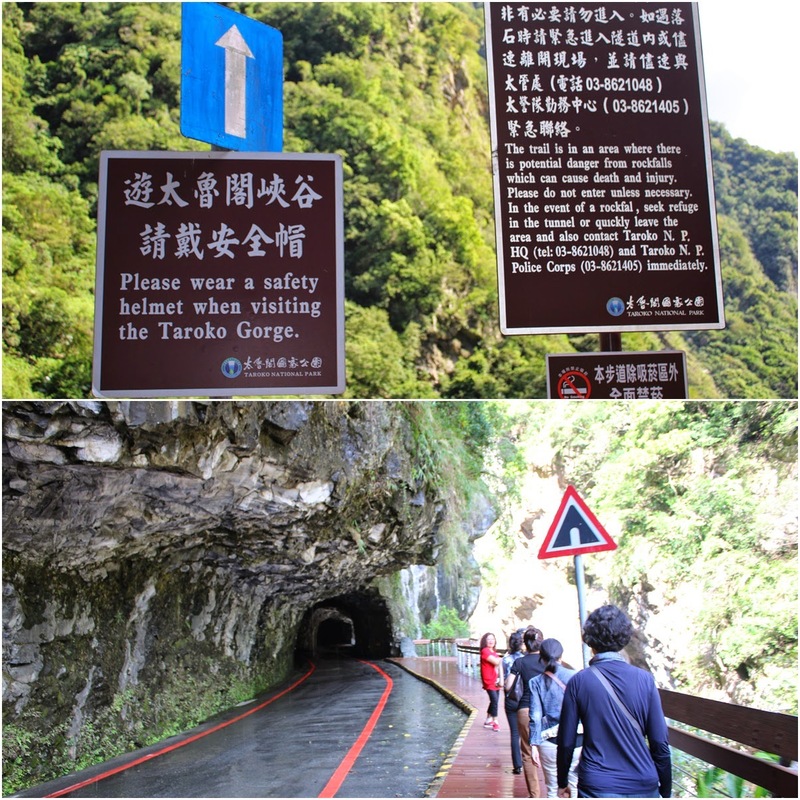 Visiting Taroko Gorge helps us to appreciate the rich eco-system changes and the process of erosion with the elevation. 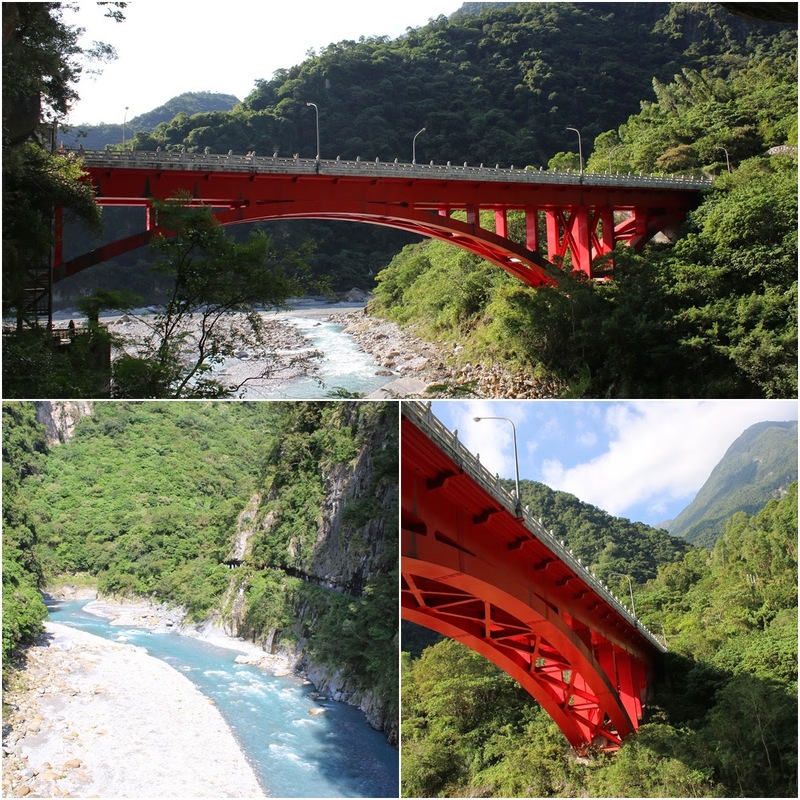 If you are traveling from Taipei city to Hualien, you can take a local express train and arrive there after two hours of train journey. 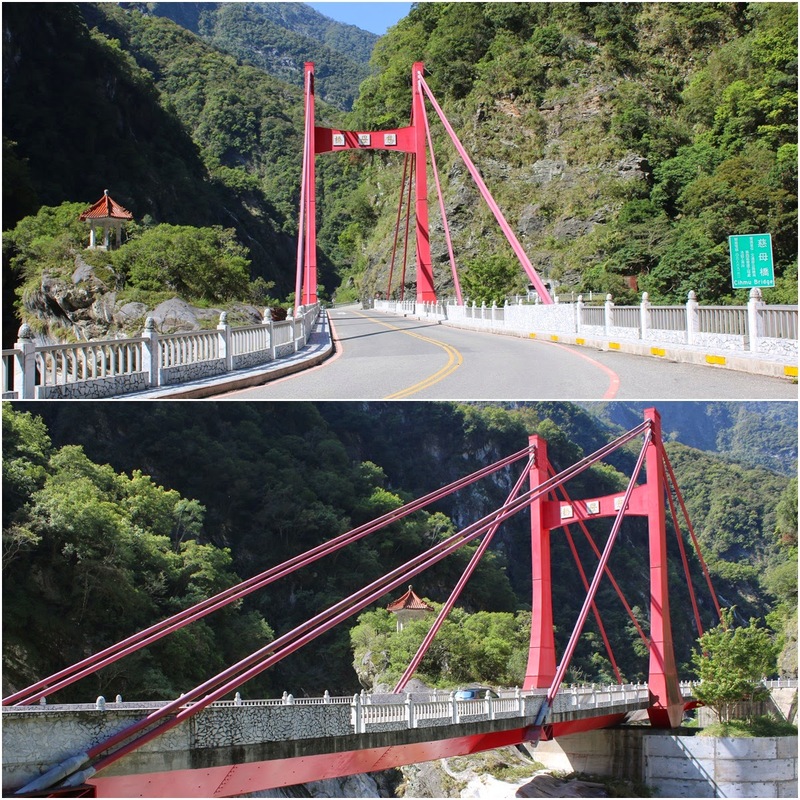 Otherwise, you can consider for a local flight from Songshan Airport in Taipei to Hualien Airport. 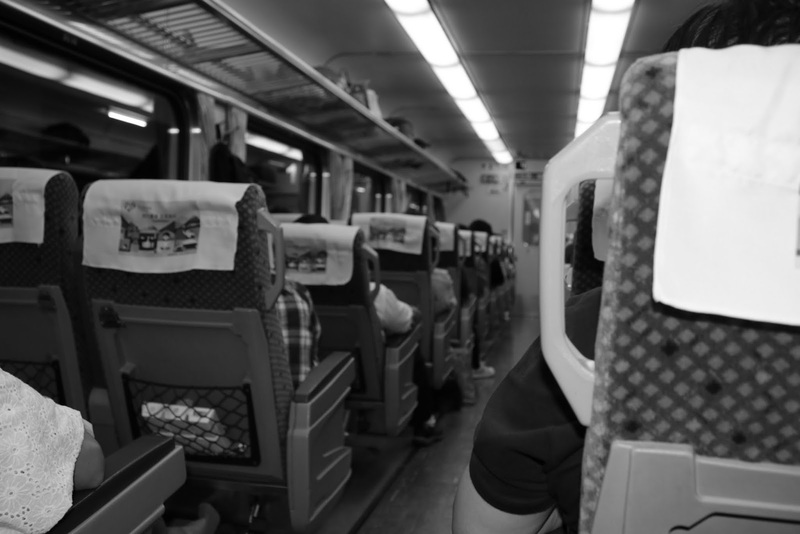 The air flight journey takes about 30 minutes only. 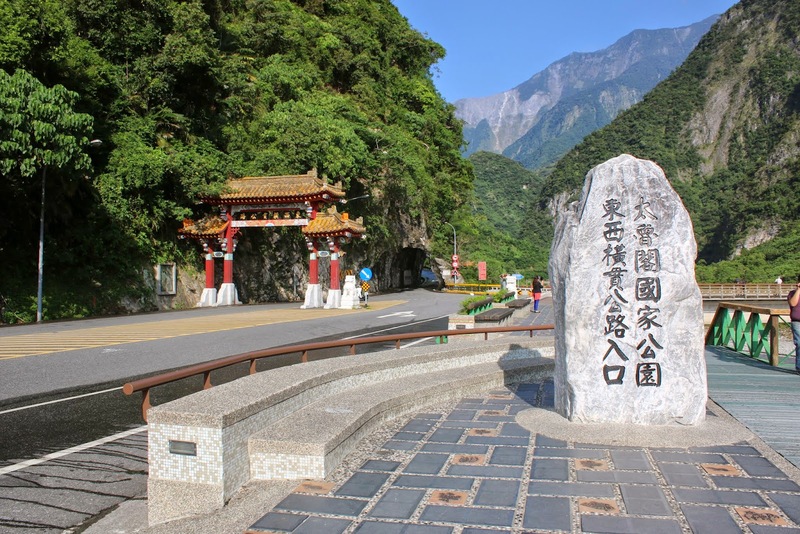 Once you reach at Hualien Airport, you have to hire a day of private taxi (cab) to take you around Taroko Gorge National Park and Hualien city. 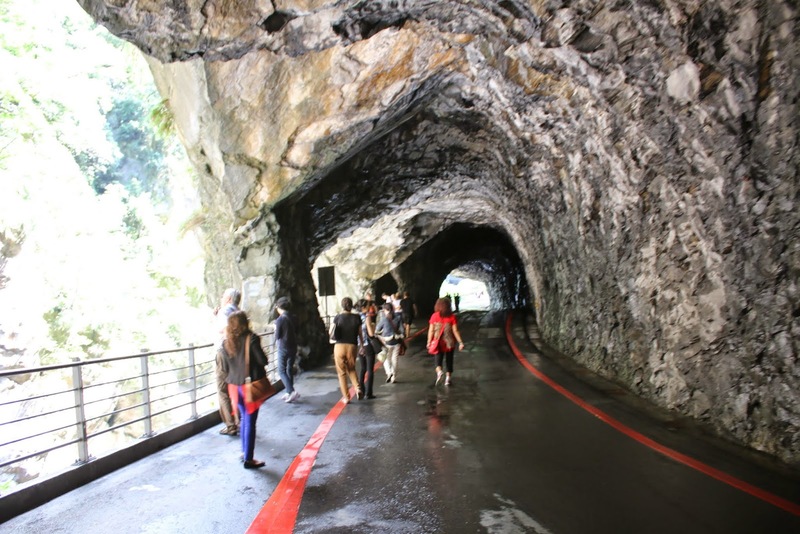 We unfortunately, were unable to travel by ourselves as it would be very costly for a couple like us, thus, we joined one day local tour to Taroko Gorge with Edison Tours from Taipei city. 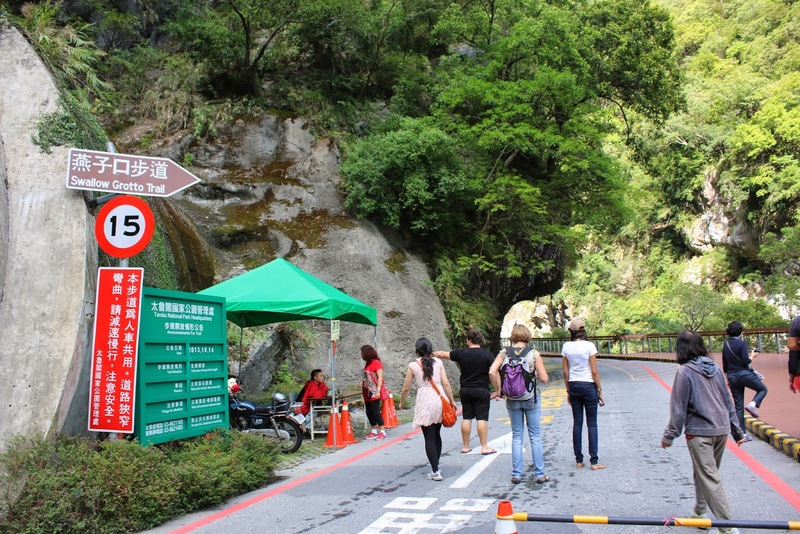 Most of the day tour trips to Taroko Gorge begin from Taipei city. 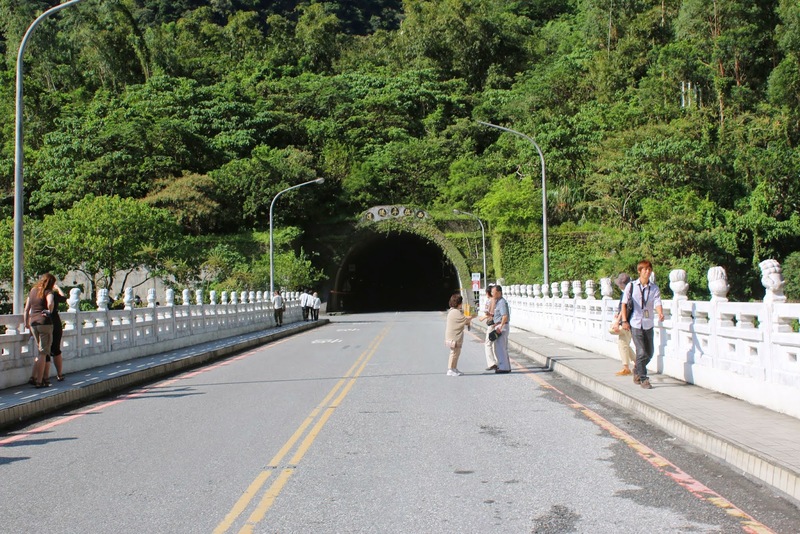 The tour representative will pick you from your hotel and take you to Songshan Airport while, another tour guide will pick you up from Hualien Airport upon your arrival. 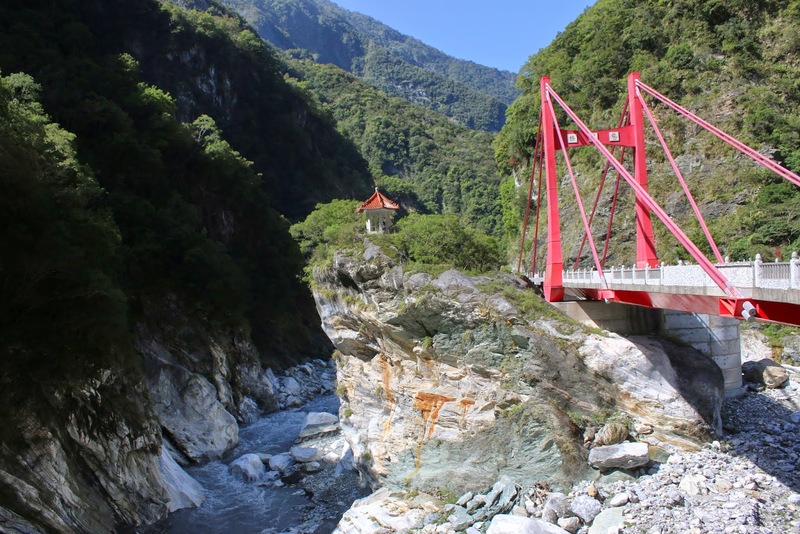 Throughout your day tour, the local tour guide will take you to Taroko Gorge National Park and Chi Hsing Beach in Hualien before sending you back to Taipei city by a local train. 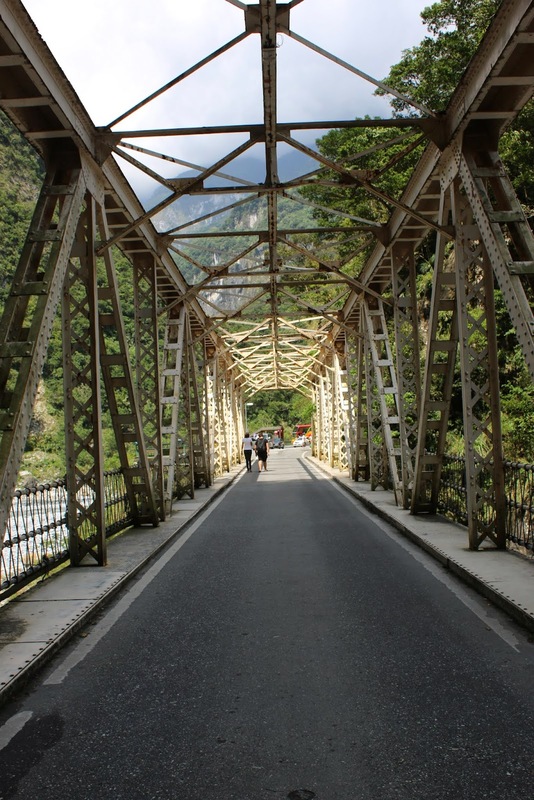 Most of Taiwanese tour guides are able to converse fluently in three languages (Japanese, Mandarin and English) during the tours so, you don't have to worry about language barrier. 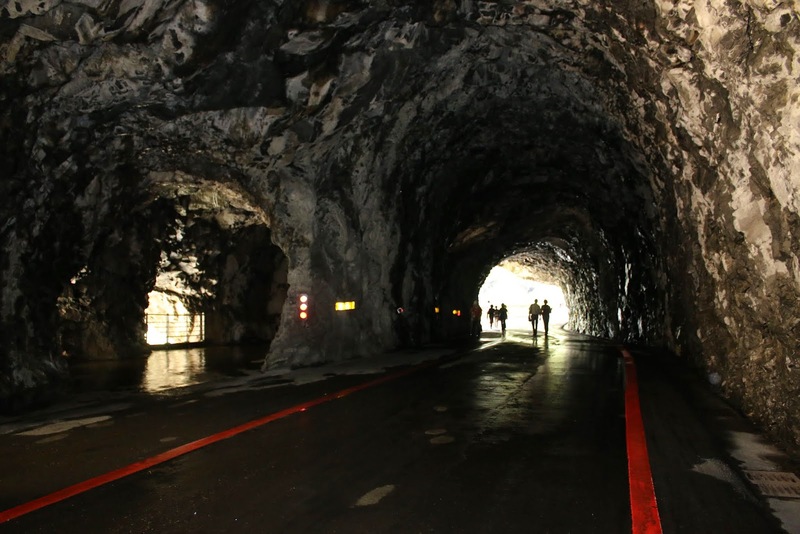 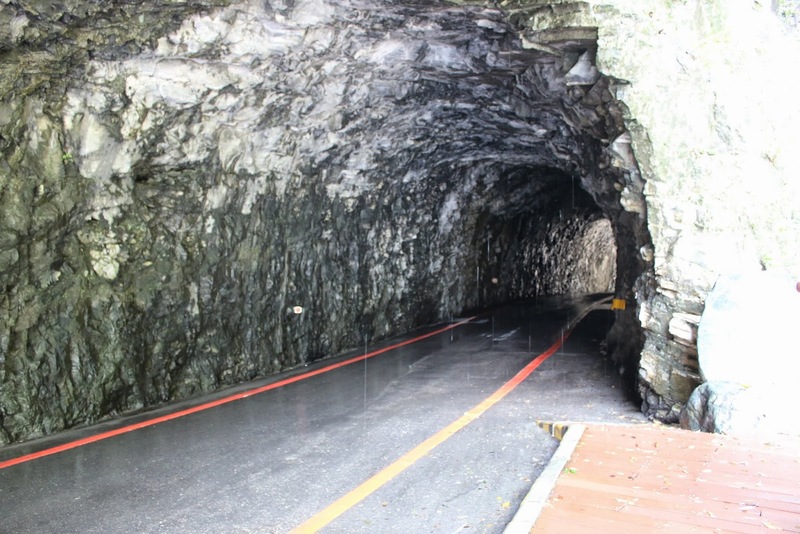 As you are heading to Tunnel of Nine Turns and Swallow Grotto, the road and tunnels become narrow and winding hence, the Taroko Gorge authorities permit cars and vans to use this road only. 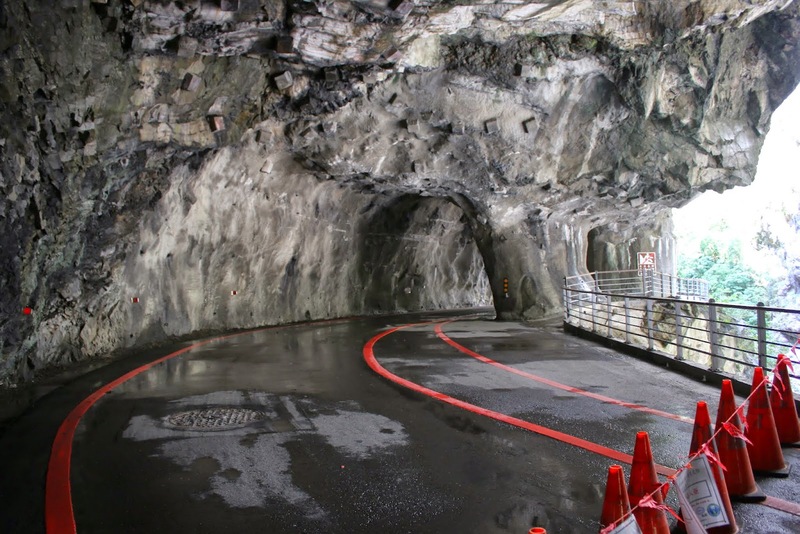 Even though we followed the tour by bus, we were lucky to have a wonderful tour guide who was able to make necessary arrangement for us to visit all these attraction sights. 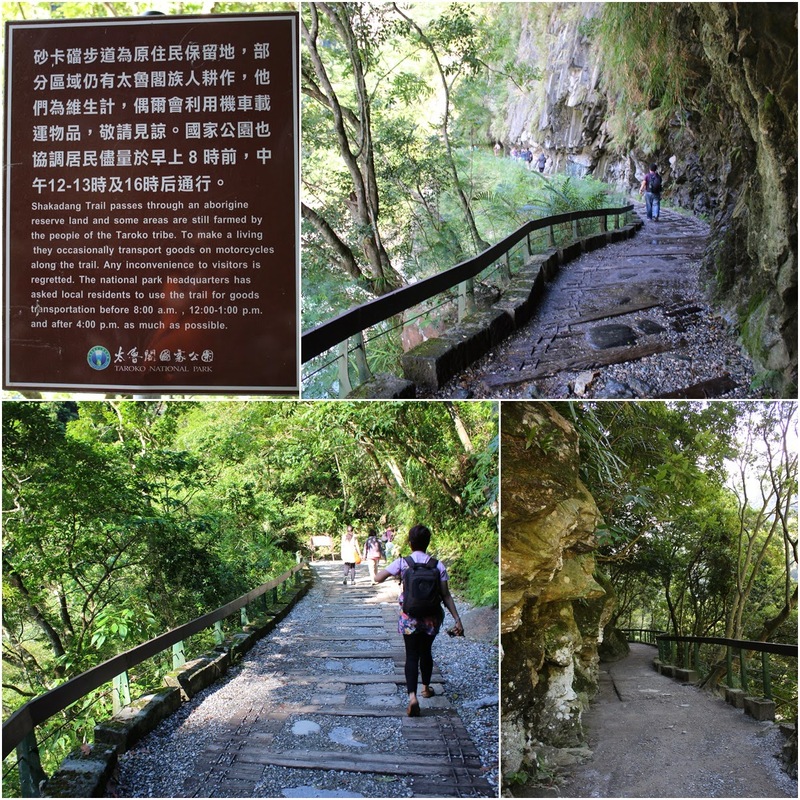 I feel it is a breathtaking view as I really appreciate the natural beauty of spectacular mountains and the process of erosion over the narrow marble canyons as we stroll along the trails at Taroko Gorge National Park. 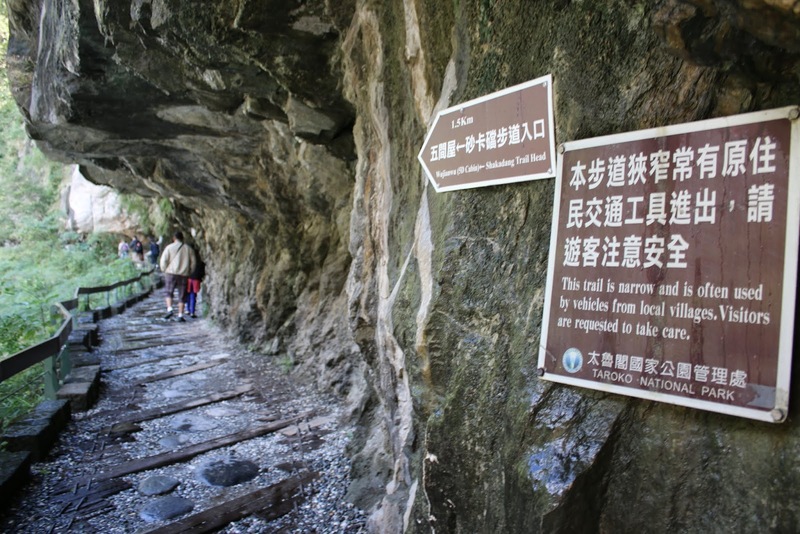 It was a pity that we couldn't get to Tunnel of Nine Turns as the trail was closed due to rockfall. 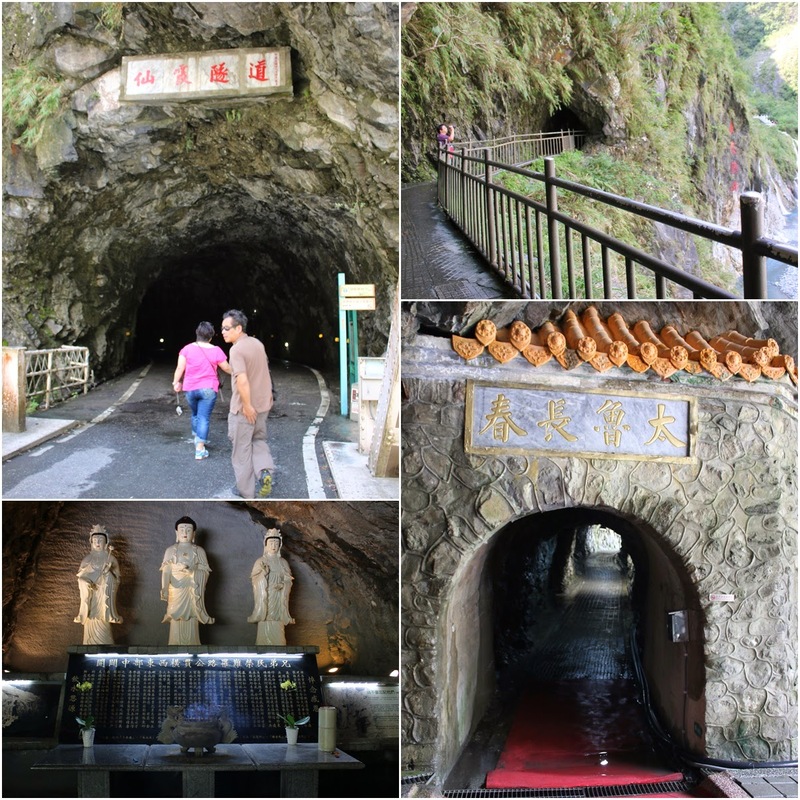 Before you leave Taroko Gorge National Park, do drop by to visit the Eternal Spring Shrine. 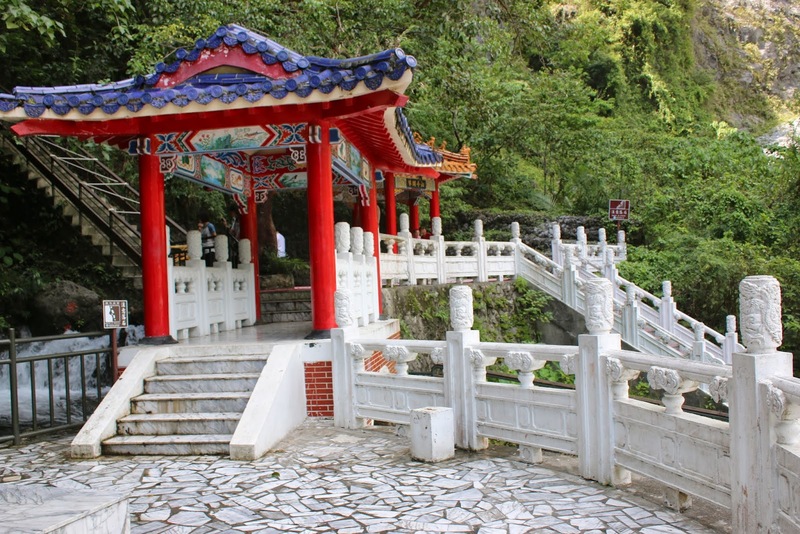 The Taroko monument at Eternal Spring Shrine was built to memorize those who have lost their lives in the construction of the central cross-island highway.